I know I shared a frozen yogurt recipe not too long ago, but 1) that was a healthy guilt-free treat and this is a luscious, mouthwatering, nectar from the Gods dessert and 2) it’s HOT and we need to cool down! I know I definitely need to cool down. Physically AND mentally/emotionally. Life has been kinda all over the place right now. Remember that apartment I was really hoping we would get? Well, we didn’t! I spent two days crying and feeling sorry for myself (“I will never find an apartment like that for that price!! !”, while husband looked at me speechless!) but I am now over it and ready (or almost ready) to start the crazy NYC apartment hunt again. I feel like I haven’t had a break since last year when I had to deal with my herniated disc, plus getting hurt… what, 3 times this year?… and sometimes really feel like throwing the towel and moving back to Brazil to be with my family! Why is it that I plan a lot of productive things to do on my days off and end up on the couch, watching silly TV shows and stuffing my face with delicious things all day long??? 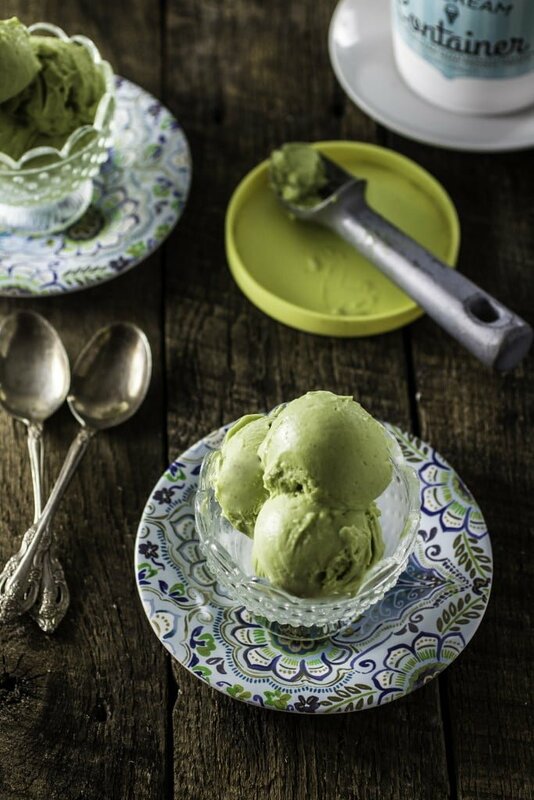 I told you before that avocados are associated with sweet flavors in Brazil, so while you might see this ice cream as exotic and different, I see it as comfort dessert at its best! And, while this recipe asks for sweet condensed milk, I like to think that this is somewhat good for you, as it is made with fresh avocados and avocados offer nearly 20 vitamins and minerals per serving. And while they are high in (good) fat, they are low in sugar. So that compensates for the sweet condensed milk, right? :) Right! Good thing we think alike! A delicious and creamy treat for the Summer! Add all the ingredients to a blender and puree until smooth. If you think the mixture is too thick, add the extra 1/2 cup heavy cream and stir it in by hand. Transfer the mixture to a freezer-safe container and chill for 4 hours. After 4 hours, process the mixture in an ice cream machine for about 20 minutes or until it sets. Serve immediately for soft serve or bring it back to the freezer for a few more hours for a firmer texture. If you don't have an ice cream machine, just freeze the ice cream for 6 hours and serve. I’ve never had avocado ice cream before but avocados are one of my favorite foods. Will have to try! Wow I am so impressed with this ice cream, Olivia! It looks fantastic! 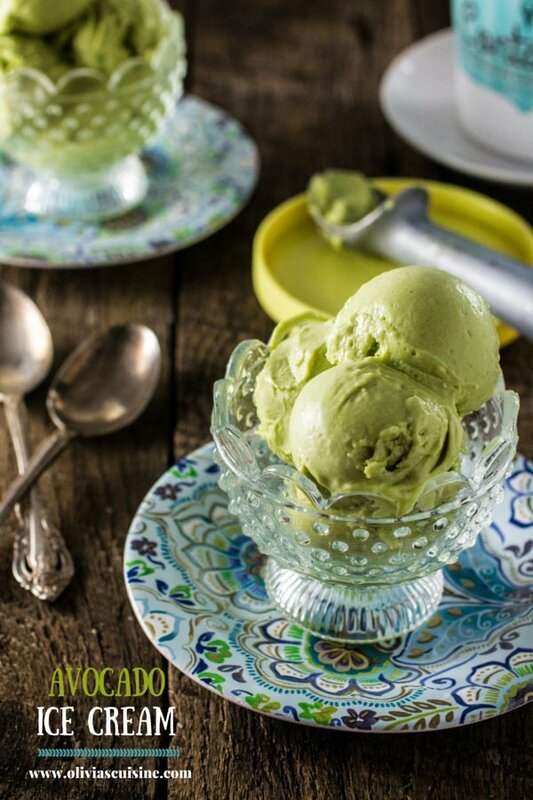 I never thought of adding avocados to ice cream before, so I’m loving the looks of this! Olivia, this avocado Ice cream is totally calling my name through the computer screen. It’s telling me it needs to be devoured ASAP because I (too) am freaking hot. Im in FL, so I feel your pain! P.s.s. photos look great! If this is what u call a hot mess, I need hot messes to happen more often in my life! Oh, no! Apartment searching is bad enough and then moving is even worse. Good luck! 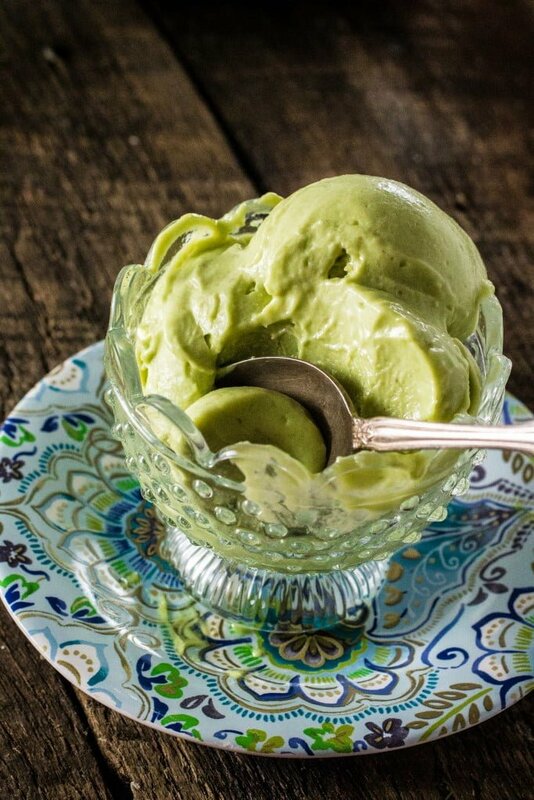 I’ll take a double scoop of this avocado ice cream to cool down on this hot day! Oh my gosh!! This looks amazing!! What a fun recipe!! Honestly, I’ve seen so many different fun avocado recipes, but this is so unique!! I love it! Great pictures btw! SWOON! They are beautiful! What a simple and of course delicious recipe Olivia! Lovely pictures! Good luck apartment searching! ok I need to seriously make this ASAP!! So creamy and healthy for you too! Yummy. What a beautiful color this has. I love green, but this particular shade is just amazing. And I love the recipe as well, we’ve been playing with avocado recently as well, trying to include it in our diet, and this recipe came just in time. It has a beautiful green color, indeed! 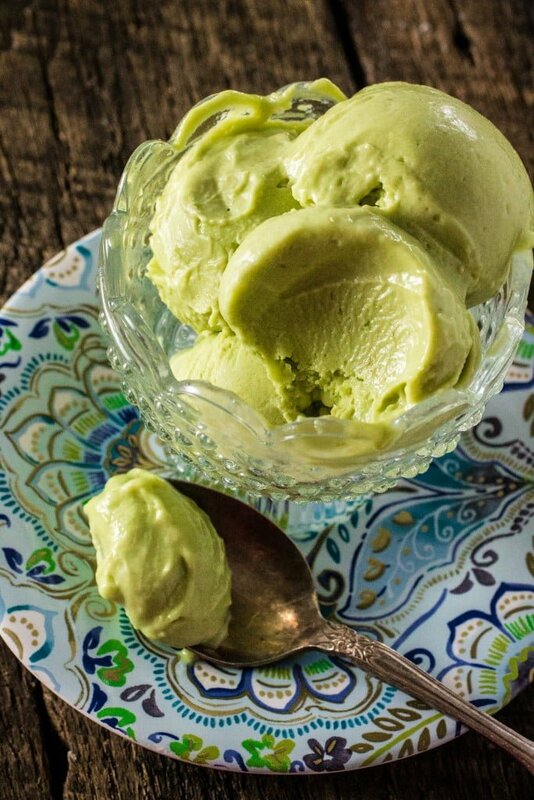 :) I love avocado and this ice cream is a sweet sweet way to include it in your diet! Dear Olivia, I wouldn’t mind a little bit of that summer heat here in NY. Last week I had boots and a sweater on! The temperatures have yet to warm up…I wonder when I will be able to go to the beach. Whaaat? Where are you in NY? I am melting in NYC! Boots and a sweater? Gosh!! !